While many freelancers create an invoice at the tail end of a project, others prefer to create the invoice at the start and add line items along the way. Cushion has always been designed to handle the first scenario, but it didn’t specifically handle the latter—until now, with draft invoices. When you create an invoice now, the “issued” date is no longer required. Saving the invoice without specifying a date marks the invoice as a draft and displays a “Draft” ribbon to indicate this on both the invoice preview and client view. On the invoice’s page, the status dropdown now includes a “Draft” option, which can be switched, to “Invoiced” or “Paid”. Under the “Invoice” tab, you’ll see a new table for draft invoices—to keep them separate from invoiced and paid invoices. 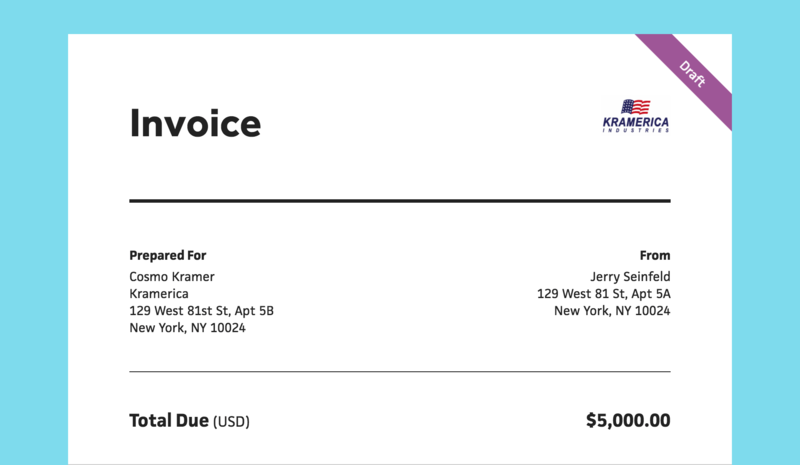 In the row menu, there’s a “Send” option, so you can issue the invoice and automatically move it to the “Invoiced” table without leaving the page. Draft invoices were a top request by Cushion users and I’m thrilled that they’re finally supported.